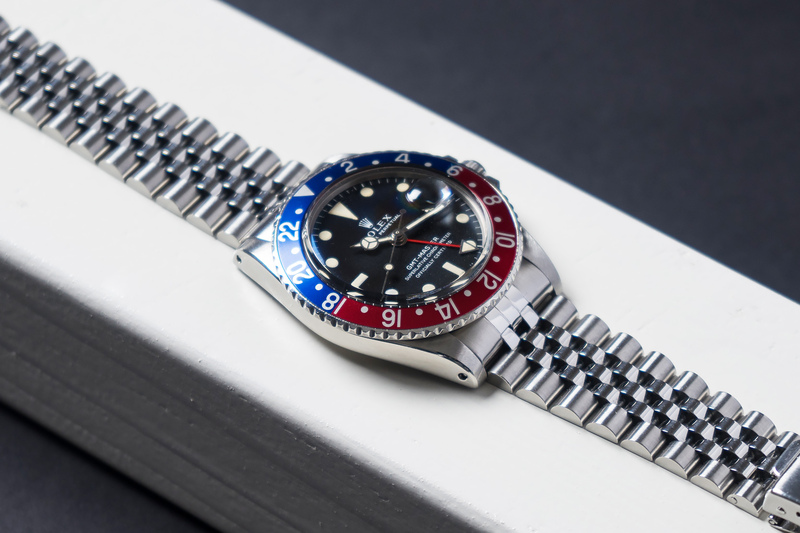 During Baselworld 2018 the main buzz was about the new Ceramic all steel GMT-Master with Pepsi bezel fitted on a Jubilee bracelet – And even though its a great thing that Rolex is listening to their clients and giving the collectors and buyers what they’ve been asking for for years, a stainless steel Pepsi GMT – This configuration was available way before Baselworld 2018. 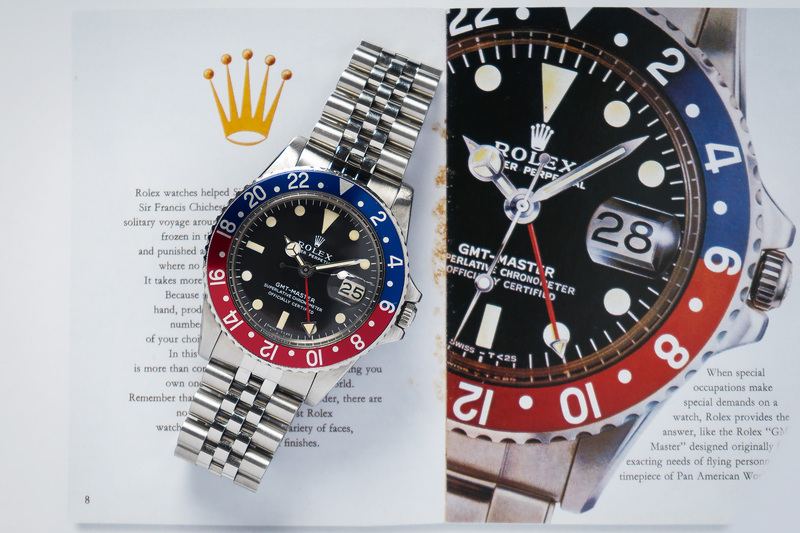 In fact, back in the day, one would have the choice between an Oyster or Jubilee bracelet when buying a new Rolex 1675, 16750, 16700 or 16710 GMT-Master from the Rolex AD’s. 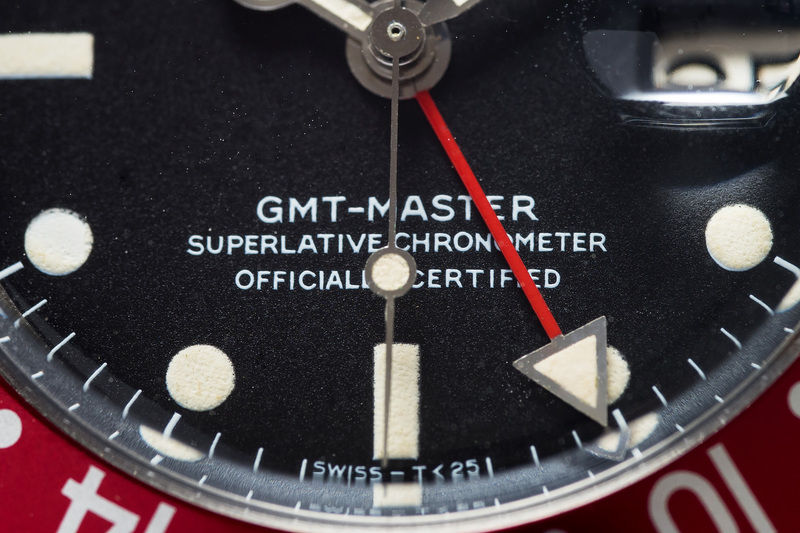 Just take a look at this wonderful GMT-Master, reference 1675 with a so-called Long E dial. 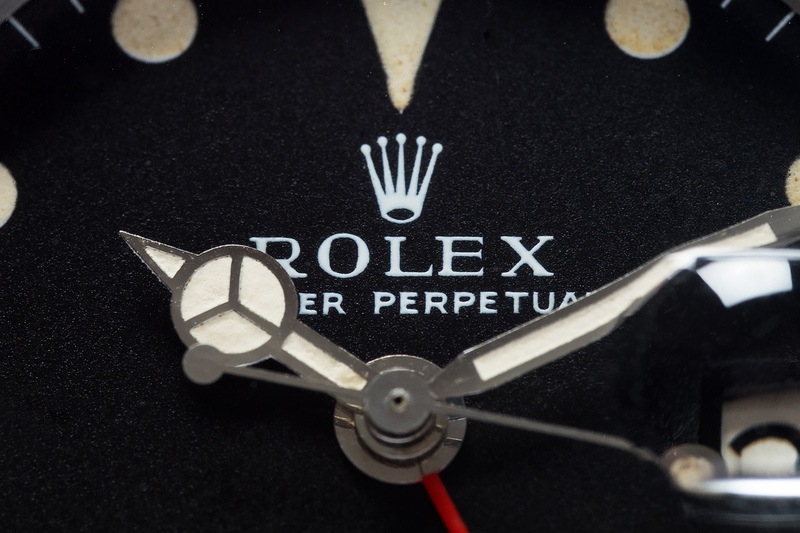 The Long E here refers to the E in the word ROLEX just below the Rolex crown logo, that E is stretched compared to other E’s on dials with similar references, hence the nickname, Long E. The dial on this beauty is truly spotless with a beautiful matte black tone and matching creamy patina on the Tritium markers and hands. 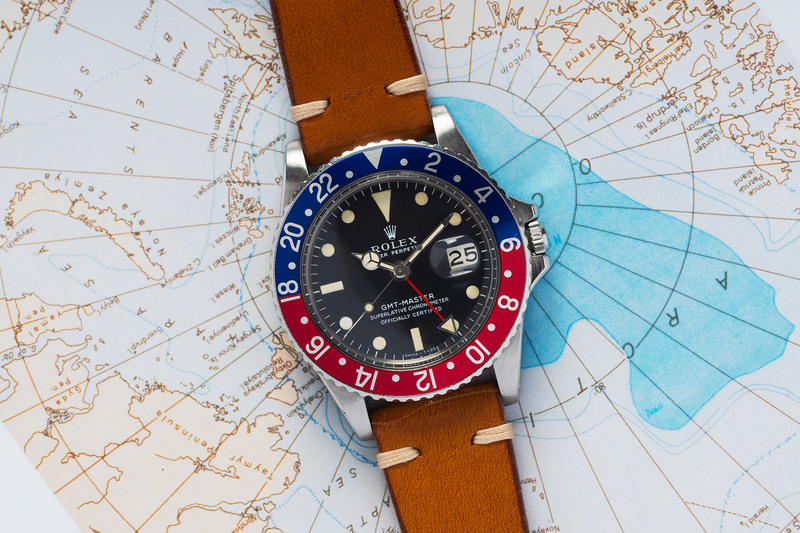 The stainless steel bezel is fitted with an all original ‘Red Back’ aluminum Pepsi inlay, Red Back inlays are the original inlays that were fitted on these GMT’s during the 60’s and 70’s. Later service inlays by Rolex have so-called Blue Back inlays, with you guessed it, a blue back. 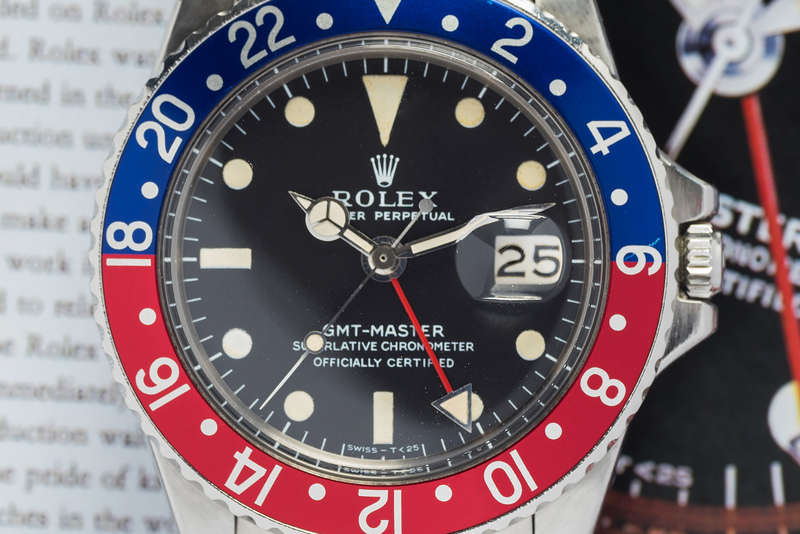 The center-case on this 1675 GMT is in a truly wonderful condition with strong lugs and fat crown guards. The case is fitted on a solid Jubilee bracelet (62510H with 55 end links) which means that the bracelet is from a later period. But since it looks, and fits soooo well on this 1675, we chose to offer you the watch with this killer bracelet – Which is nearly stretch free by the way! 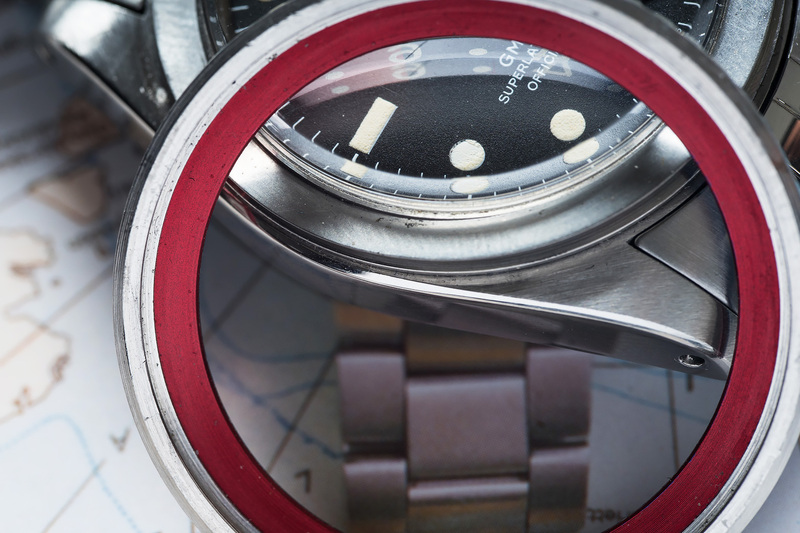 The GMT-Master was developed to meet the specific needs of airline pilots back in the early sixties. It became the official watch of PANAM Airlines with other Airline Pilots and companies following soon after. 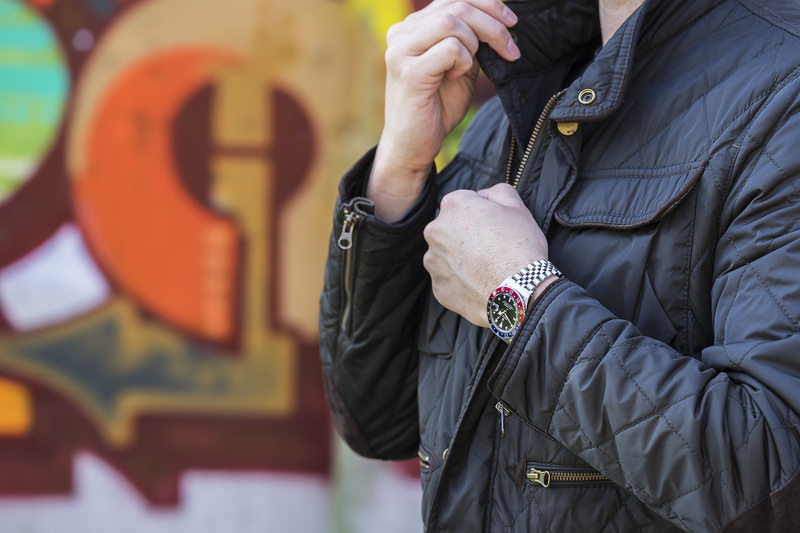 Nowadays, these watches make for an ultra cool statement to let the world know your style and what you’re all about! 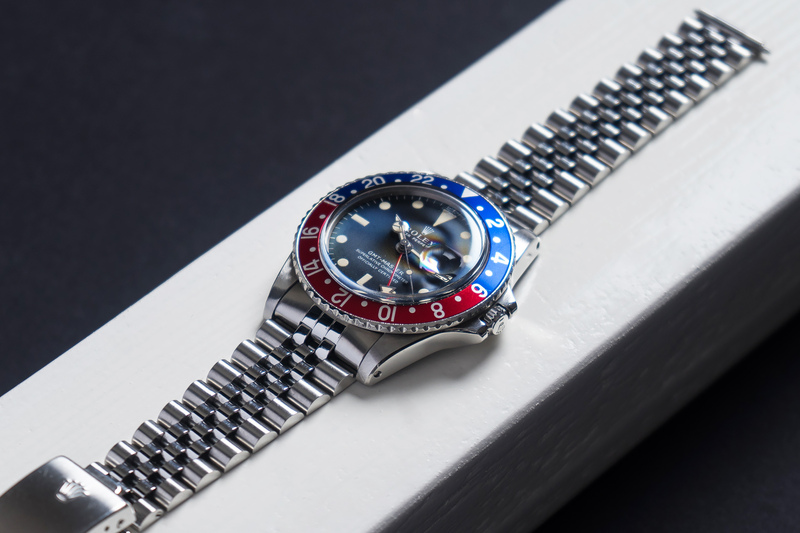 This Iconic ‘Pepsi’ was fully serviced by our watchmakers and will be available with a twelve month warranty.